travellers to Agra as they drive in from Delhi and Jaipur en route to the Taj Mahal and other tourist spots. 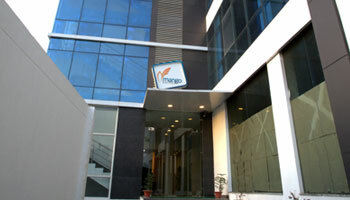 In a city of several hotels, Mango Suites | Ascent stands out as a unique, full-functional business hotel with free Wi-Fi connectivity in every room, and caters to business tourists visiting the bustling trade and manufacturing centres in Agra. Where to find us before we find you Mango Suites | Ascent is located in convenient proximity to the Taj Mahal, the Agra railway station, the airport and several industries. And is a great value stay option; whether you travel to Agra for an exotic pair of shoes or simply to be enchanted by the Taj Mahal in all her full glory. Laundry Facilities, Breakfast Services, Currency Exchange, Travel Counter, Room Service, Security Guard, Airport Transportation, Doctor on Call, Parking, Backup Generator. H/C Water, House Keeping, Cable/Satellite TV, Wakeup Calls, Iron/Ironing Board, Air Conditioning Room, DVD Player, Attached Bathroom, Toothbrush/Razor on Request.